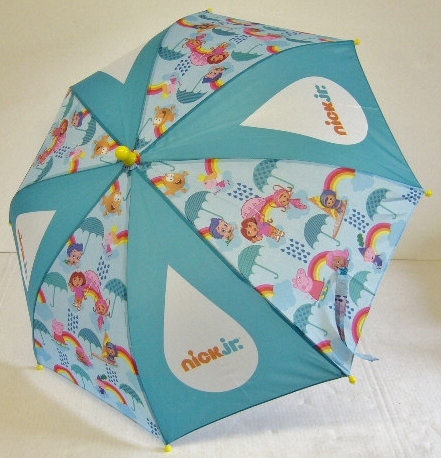 Puddle jump like Peppa Pig and explore like Dora with a character umbrella from Nickelodeon! 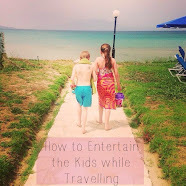 With winter comes rain, sleet and snow but don't let that stop the outdoor fun. You can pop on your wellies and raincoats and head out to play sheltered from the weather with a funky umbrella - featuring your little one's favourite characters. We have 4 up for grabs! For your chance to win one of four Nickelodeon character umbrellas you can enter via the Rafflecopter entry form below. The giveaway closes on 20th December 2012. Nick Jr. is the preschool channel from Nickelodeon which broadcasts,hit shows including Dora the Explorer, Peppa Pig, Ben and Holly’s Little Kingdom, Bubble Guppies and Olive the Ostrich. In 2009 Nick Jr. won BAFTA Children’s Channel of the Year. To find out more information on programming as well as clips, games and exclusive downloadable content visit nickjr.co.uk. Nick Jr. is available on Sky 615, Virgin 715, through BT Vision and TalkTalk channel 318. My daugthers love Peppa Pig and In the Night Garden. My boys love Ben 10! Oh we all love Peppa Pig! Perfect prize for this weather! My daughter loves rugrats, my son loves peppa pig! Georgie is really into Upsy Daisy from In the Night Garden at the moment! It's predictable I know but it's Peppa Pig. We have just arrived home from the show at The Criterion in London. I've never seen him so overjoyed! my son has got back into peppa pig since his baby sister came along. i subscribe via email as talcfour. Spongebob. But, sometimes i think that spongebob unreasonable. For the example, sponge is more smart than starfish, altough on biology, sponge is has no brain. Oops, i forget. I use GFC for follow this blog. I don't have any children. If I win this prize, I will donate it to charity, to go to Romania. dora and spongebob - an unusual combination! i follow your blog as linda bensusan on gfc. 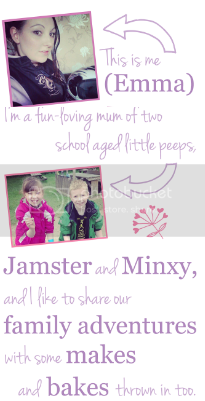 my littlest boy is thomas my big boy is jake and the neverland pirates and my girl is mickey mouse. 64 Zoo Lane & Baby Jake! peppa pig is my kids fave! I love bob sponge, it is such a funny character!